Available on Xbox 360 (console reviewed on), PS3 and Steam. 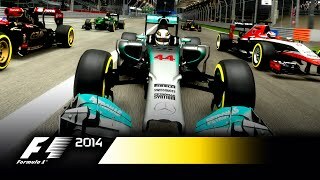 On Friday 17 October Codemasters launch their Formula 1â„¢ 2014 game for the Xbox 360, PS3 and PC. With rule changes for the 2014 season, fans were promised an updated game, with many changes to gameplay and game modes. I have had early access to the game through CLIC and here is my review. The 2014 season brought with it many rule changes, such as the change from naturally aspirated V8 engines, to Turbocharged V6 engines. Also, the introduction of ERS (Energy Recovery Systems) made a big impact, as the cars are now provided with 160bhp of recycled electrical energy. Reduced aerodynamics and new rules on car design made for vast changes to the car appearance also. 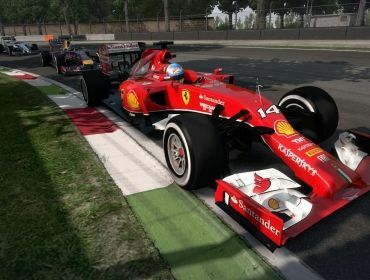 Overall, the changes have been handled well by Codemasters, with a much updated physics model. This in turn leads to improved gameplay, as those who play the game will know about the various glitches (most notably, the sidepod glitch), and will be glad to know that these have been removed from the game. There have been some slight changes to the AI from F1â„¢ 2013. They are now more attacking, and will make an attempt to overtake into corners, and on the straights. However, as with most racing games, they are extremely lacklustre off the line, and are slow and lazy through the first few corners. This is a disappointment, as many F1 fans want a simulation within the game, and it is possible to gain 5-6 places through the first corner, even on the hardest difficulty level. Car setups seem very similar to the system in previous F1â„¢ games from Codemasters, with the only changes being reflected from the 2014 season. For example, gear ratios are now preset in the game, and cannot be changed, along with ERS deployment. Disappointingly, setups seem to have little or no effect on car performance from testing, as a good setup can only save you 1-2 tenths of a second per lap. The omission of the Young Drivers Test will make many fans of the game happy, as instead of a 2 day event where you have to learn the game from scratch, you are now given the option to do an evaluation test at the start of the game. In this, you will be thrown straight into a 1 lap race, and after which, the game will recommend the difficulty level in which you should play on, based on your performance. With the addition of a ‘Very Easy’ difficulty, newcomers to the game won’t find themselves struggling to get up to speed. There is an option to overrule this, so even if it doesn’t get it quite right for you, you have an option to customise it to make it easier or harder. In addition, you can ignore the recommendation completely, and choose your own difficulty level. 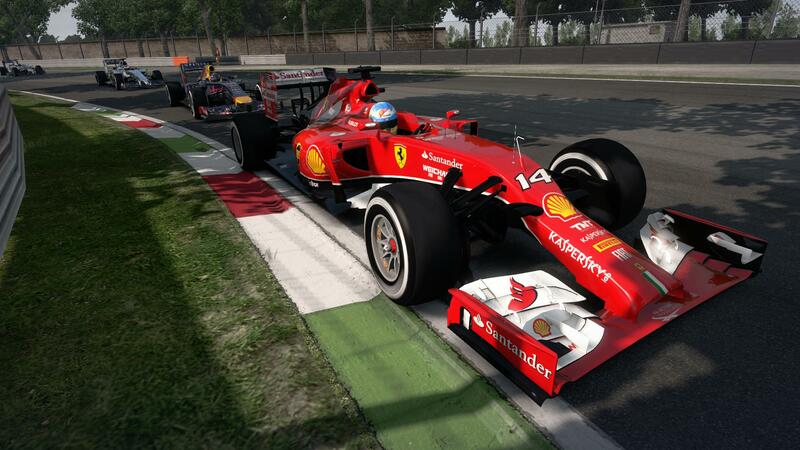 The graphics are not dissimilar to those of F1â„¢ 2013. This will make gamers happy, as that game was very aesthetically pleasing, and this feature has been carried forward. The lighting is improved on the ‘Night Races’ and the cars no longer glow, but they look extremely realistic. The new additions to the career mode make for some interest. There is now an option for a 7, 12, or full 19 race season. This is ideal for those who buy the game, but don’t want to race a full season, as they might not be the biggest F1 fans. 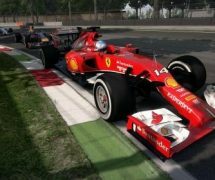 The core gameplay in the career mode is unchanged, however, and contract offers from other teams seem random, and unrelated to season performance. The only exception is the rival feature at the end of the season, where you name a rival, and if you beat him, get a chance to replace them at their given team. Scenario mode has also been changed, with scenarios being categorised in difficulties, from ‘Very Easy’ to ‘Hard’ difficulty. This means that the game mode is accessible to all players of the game, whether they are first time players, or seasoned F1 players. At this time, I cannot review the online experience, but will post an update once the game is officially released, outlining the changes in the online gameplay. Overall, Formula 1â„¢ 2014 is an improvement on the previous F1â„¢ games from Codemasters, and I would recommend it, and give it an 8/10.